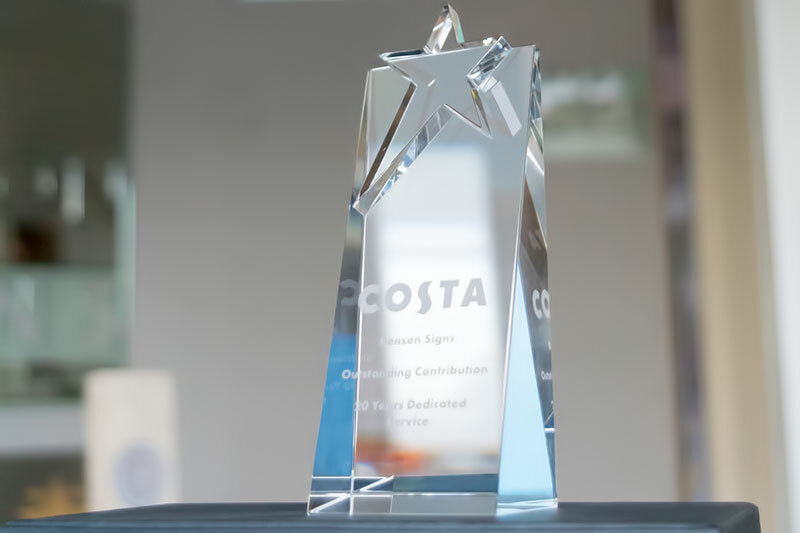 Towards the end of 2016 Benson Signs were the proud recipients of an Outstanding Contribution Award from Costa Coffee. This recognised 20 years of dedicated customer service - and we were the first Costa supplier to receive this prestigious award. The award celebrates our successful partnership, involving the supply of external signage and internal graphics to around 1500 UK outlets since 1996, including over 40 Drive Thru sites, plus numerous exported sites in Europe and the Middle East. "We are all incredibly proud and honoured to have received this award from Costa" said Mark Williams from Benson Signs. "All our staff believe in providing high-quality customer service, and to be recognised in this way over such a long period of time by one of our major clients is a great achievement, and one that we are all immensely proud of". 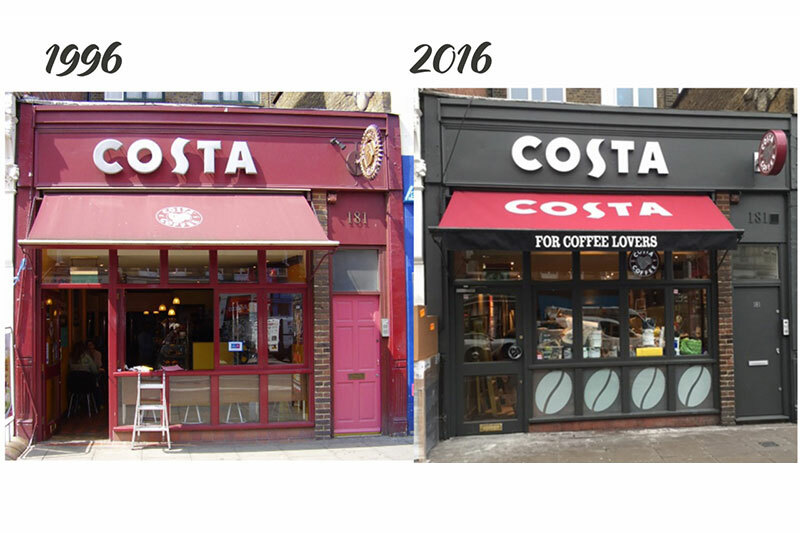 Benson Signs are proud to have received an award from Costa Coffee for 20 years of dedicated customer service.